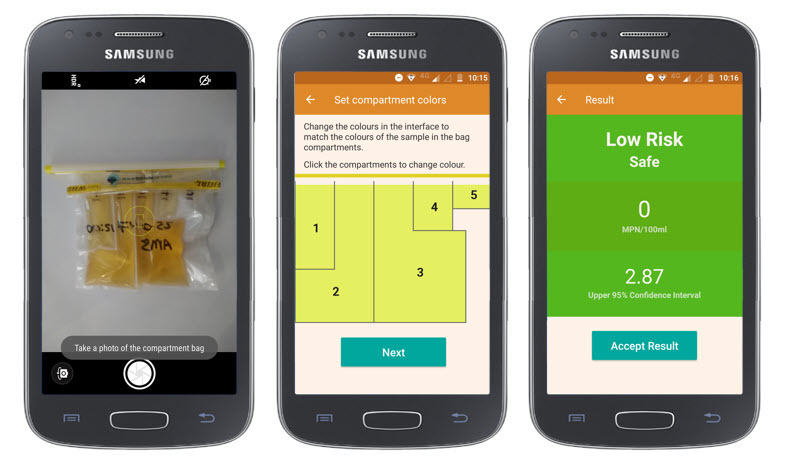 The Aquagenx CBT E. coli Kit with the Akvo Caddisfly app lets you easily and instantly test water quality in the field with your smartphone no matter where you are. 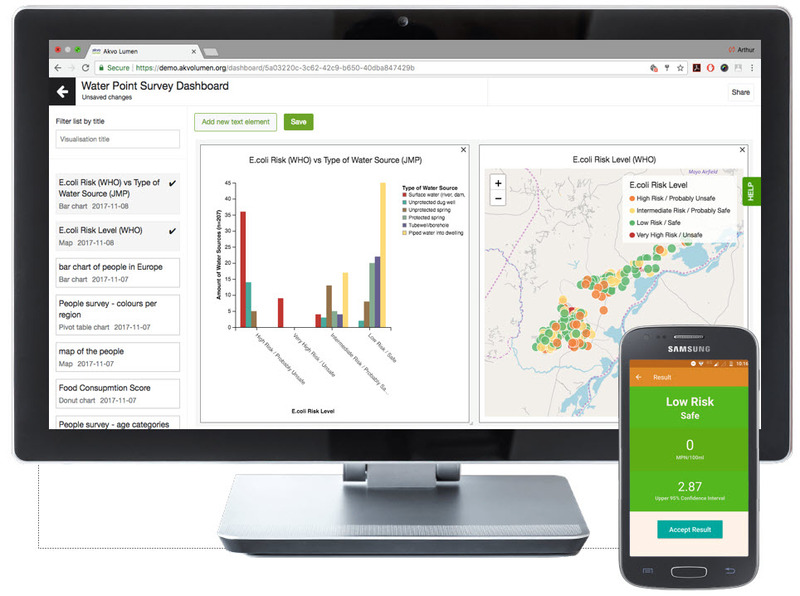 Create surveys to collect on-site water quality data and other related data that is important for your analysis. 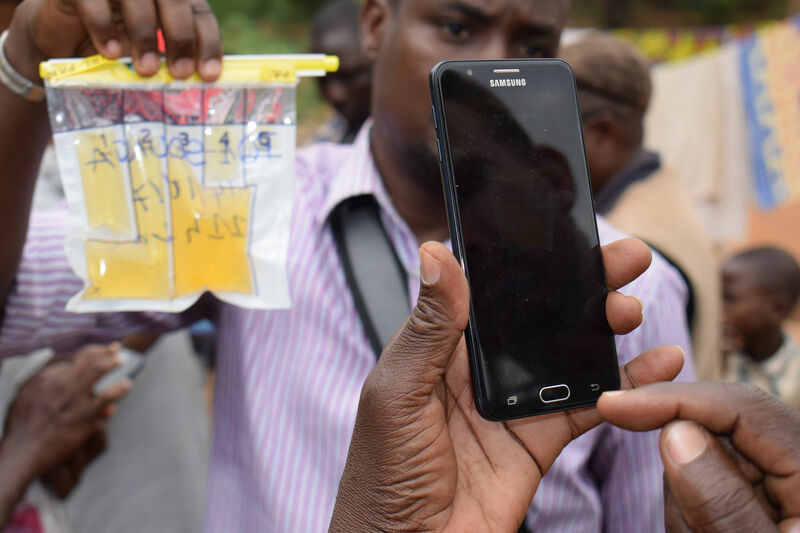 All surveys are sent to the online Akvo Flow data platform for rapid data sharing, data analysis, visualization and decision making. 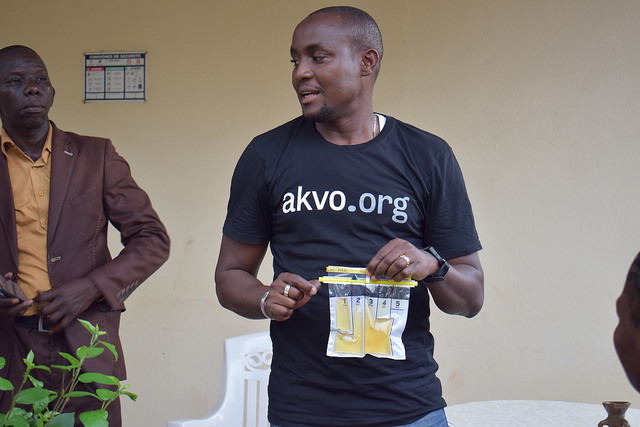 Contact Akvo with sales, partnership and technical questions.